How to draw an iPhone? It's very fast and easy to draw an iPhone and design iPhone user interface using the tools of ConceptDraw DIAGRAM extended with iPhone User Interface Solution. iPhone User Interface Solution from the Software Development Area offers you the incredibly large quantity of predesigned objects that are grouped to 9 libraries. 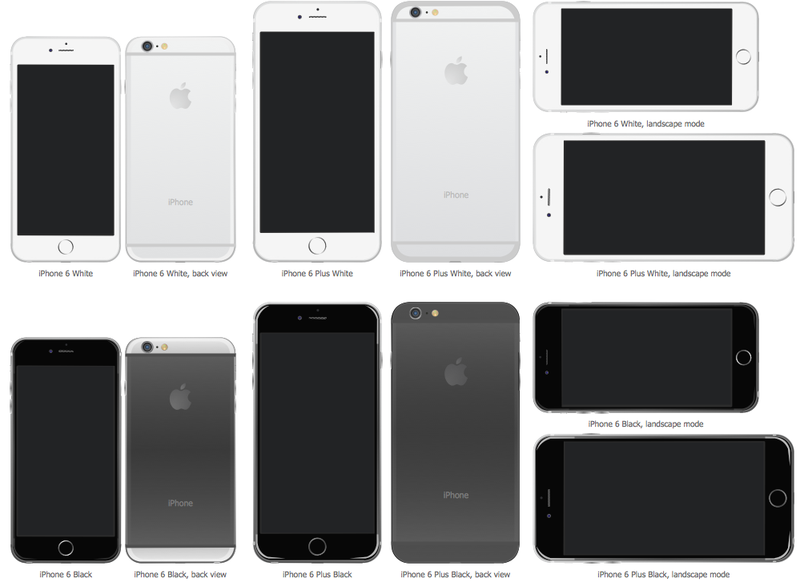 The iPhone 6 Mockup library contains ready-to-use mockups of iPhones. 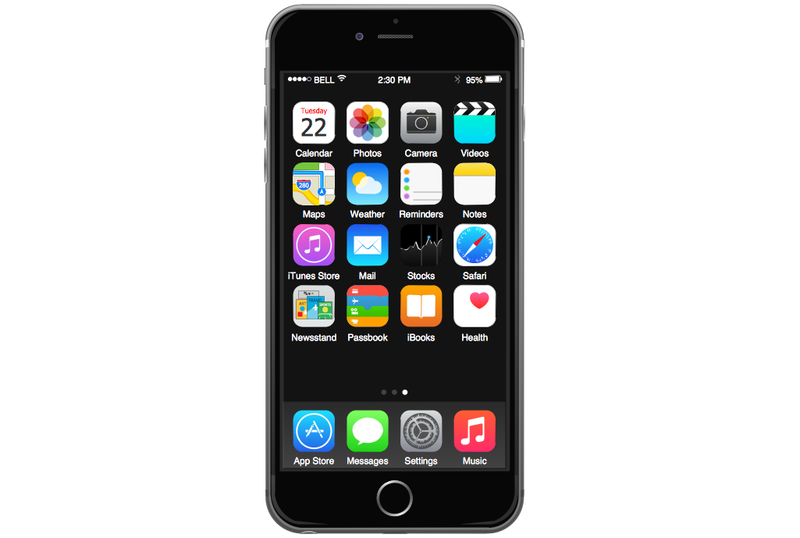 All that you need for drawing iPhone is simply drag the desired mockup from the iPhone 6 Mockup library, and then design the iPhone's interface using the objects from other libraries of iPhone User Interface Solution. Another quick way of creating an iPhone illustration in ConceptDraw DIAGRAM is to use one of predesigned iPhone templates from ConceptDraw STORE and fill it. 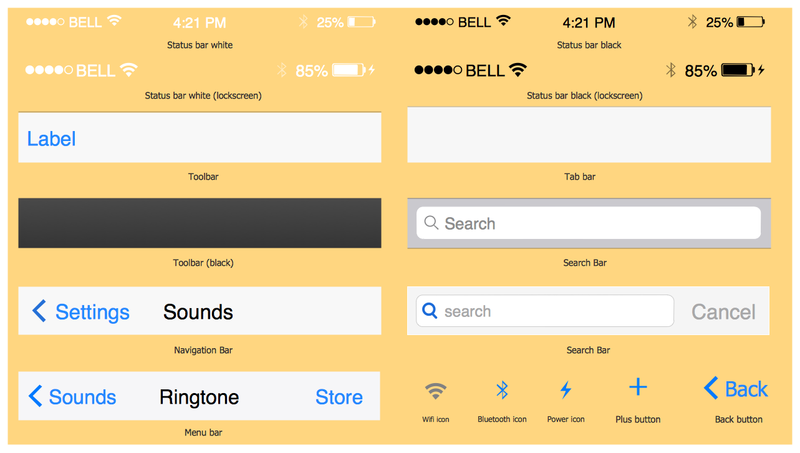 This template was created in ConceptDraw DIAGRAM using the objects from libraries of iPhone User Interface Solution and shows the iPhone Home Screen. You can see the variety of icons on the Home Screen that can be clicked for using the available applications. You can find this template in ConceptDraw STORE and use it for your needs. 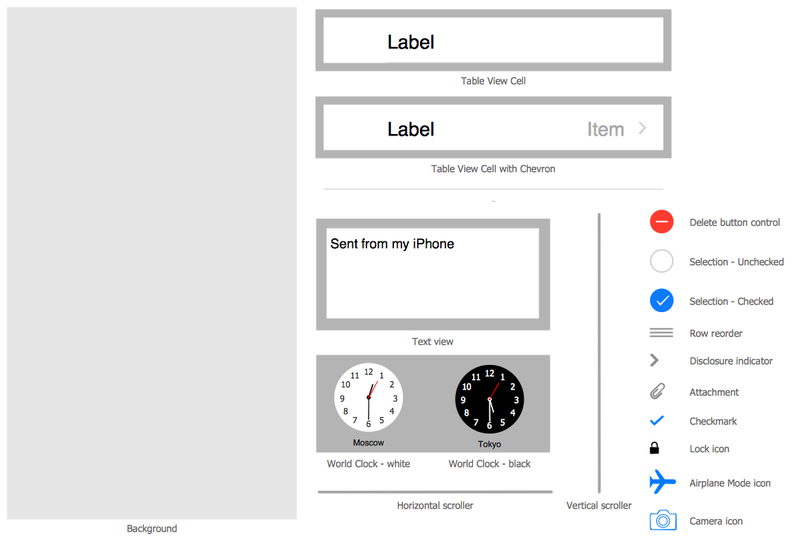 Use the predesigned vector stencils, iPhone UI patterns, templates and samples from the iPhone User Interface Solution for ConceptDraw DIAGRAM to draw iPhone create your own iPhone interfaces quick and easy. 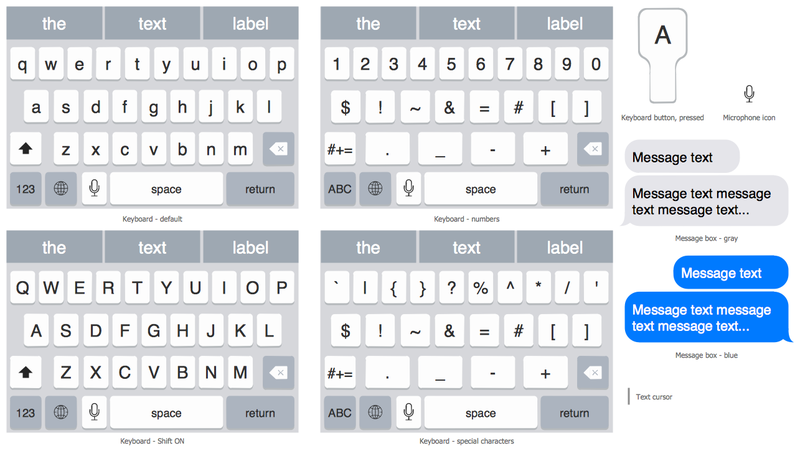 All iPhone interfaces designed with ConceptDraw DIAGRAM are vector graphic documents and are available for reviewing, modifying, and converting to a variety of formats (image, HTML, PDF file, MS PowerPoint Presentation, Adobe Flash or MS Visio). Both Crow’s Foot and Chen’s notations are used to build database models. Each of them has its’ own features, and if you use a proper entity relationship diagram software, you’ll be able to create diagrams of any notation. Database model with clearly defined entities and relationships between them facilitates further work greatly. This ERD represents the model of Employee Certification Entity. The entity-relationship diagram is a visual instrument of database software development. It is used to structure data and to define the relationships between structured data groups. This ERD was designed with a help of ConceptDraw Entity-Relationship Diagram (ERD) solution. The solution supports the both basic ERD notations used to describe the structure of database: Chen's and Crow’s Foot notations.